nick on Tarnot, on the Scene! 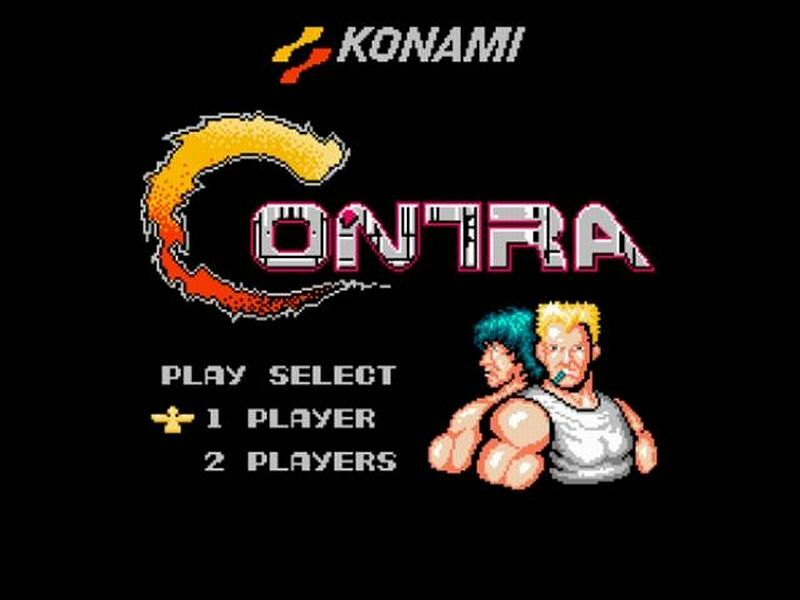 The evening when I found myself knee-deep in digital trenches alongside Bill “Mad Dog” Rizer and Lance “Scorpion” Bean, the futuristic rifle-toting commandos of Konami’s Contra, stands out as my earliest memory. My brother and his best friend had taken control of the mercenaries and I watched wide-eyed as the two traversed eight levels that taught me at such a young age that war is Hell. Countless enemies fell before the might of their spreadshot as they blazed an 8-bit path through forests and factories, snowy fields and scrap stations. Each stage presented new difficulties and horrid new ways to die–in a single hit, mind you–which culminated in a final battle with an alien creature reminiscent of something from the mind of Ridley Scott. As the beast’s bullet-riddled husk lurched forward in a death throe, the three of us cheered. Our efforts were rewarded with a video of a pixelated helicopter hovering across dusky skies. The cinematography was flawless; the soundtrack superb. Roll credits. At that moment I wanted nothing more than to feel the rush of a victory that my own hand had wrought, so I grabbed for a pad of my own. Its cool, grey corners pressed into my palms. Its thick, black cord stretched out and into the console, connecting me directly to the digital realms that I would soon invade. And there I sat: legs crossed, eyes wide and thumbs slowly growing calloused. I trained for weeks and soon found imaginary enemies of every ilk fell before the might of my two red buttons. And I have been training since. I grew to love the fighting genre at an early age. Few things compare to beating the absolute crap out of my friends without having to actually injure them (well, aside from their pride, perhaps). For a good while, I played every fighting game that I could get my hands on and, being a 90s kid, the selection was both vast and terrible. Certainly, there were gems–most of which still exist today–but does anyone remember Clayfighter? I put hours into the sequel. I have reason to believe that this contributed heavily to my love of terrible puns. Note that the game was titled “C2: Judgment Clay” and the box art sported a claymation rabbit in Schwarzenegger garb riding a motorcycle through some post-apocalyptic wasteland. Awesome. Over time, I grew away from console gaming entirely and decided to devote my efforts to the PC revolution and all of the marvels it promised through titles like Half-Life and Everquest. This lengthy hiatus allowed me to return to consoles with a fresh set of thumbs, aching to earn their callouses again. Two summers ago, a small group of friends and I decided to pick up the newest installment of Street Fighter, partially out of nostalgia and partially because the FGC was beginning to really come to fruition. In order to take part in this reawakening of a genre, we had to re-learn everything that we had known. We had to sever ties with old “codes of honor,” which prevented rapid and successive fireball chucking and killing with chip damage, among other things. And once those hurdles were overcome, we had to learn to play on stick. Though the pad had proved trustworthy until that point, the stick is the true medium for fighting. Now, with slightly over two years of experience in the modern fighting genre, I have decided to enter Evo 2013. I don’t intend to win. I intend to show up and play my game. I intend to, if only for a moment, immerse myself within a community that I have come to love from a remote location. This blog will document my personal road to Evo and will perhaps offer some helpful information for others in my position, who are trying to reach the next level.